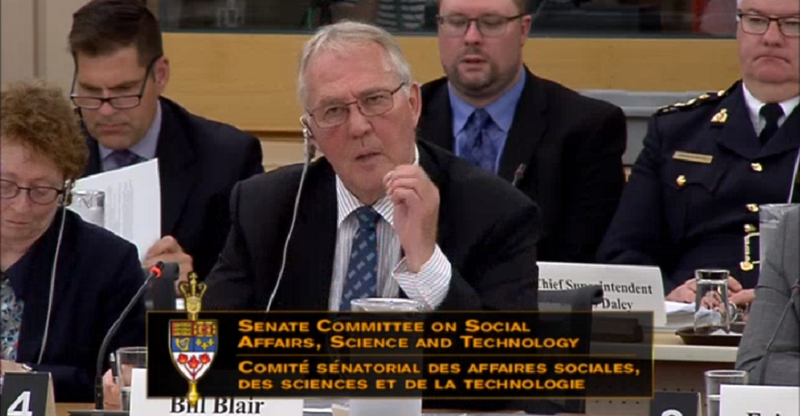 The Standing Senate Committee on Social Affairs, Science, and Technology met for over eight hours on Monday to go over Bill C-45 in a clause-by-clause review. Cannabis legalization is fast-approaching in Canada, with a final vote on the bill scheduled to take place by June 7, 2018, before being presented to the Governor-General for assent. Last week, the Committee heard from industry experts and policymakers on topics such as branding and packaging, public health and safety, patient advocacy, and micro-licenses. Monday’s meeting saw 40 amendments passed, the majority of which were technical and have little effect on the bill. Of particular interest were delaying legalization to better include Indigenous populations, and provincial authority to ban personal cultivation of cannabis plants. Here are the highlights, via Twitter. @SenateCA #C45 although i did not want a delay necessarily, for a matter of an extra month or two, the respect it would show First Nations, who were disproportionately affected by prohibition, would have been worth it. I feel disappointed. #SOCI approves another amendment to #C45 that requires any new #Cannabis products & regulations (concentrates, edibles, vapes, extracts, etc.) stating that they are to be presented to the HoC and Senate in a manor similar to the way new legislation is introduced (Red tape). Follow Grow on Facebook and Instagram for everything you need to know about cannabis.